As the festival of Shavuot approaches, I am reflecting back on the revelatory experiences in my life. This past spring, I was so frantically busy that it wasn’t until I slowed down that I realized I was having an experience that was changing me in a profound way. I know I’m not the only one who has ever looked at my calendar and been overwhelmed. Sometimes when we realize how filled our days are, we panic. I felt that panic in pit of my stomach a few months ago when I looked at my calendar and saw a few days of travel with AJWS to Washington, D.C. 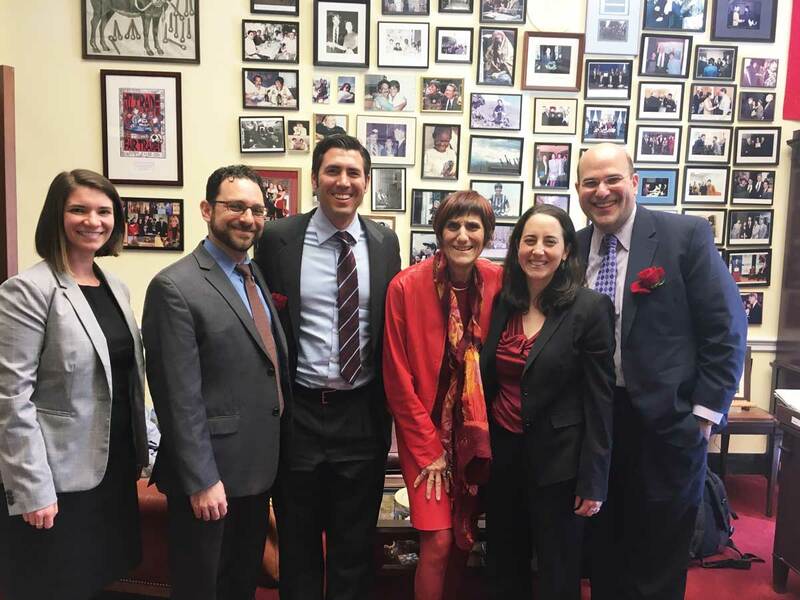 I am passionate about AJWS, and the issues are so important, but… does it have to be now? The 2016-2017 AJWS Global Justice Fellows. Photo by Christine Han Photography. 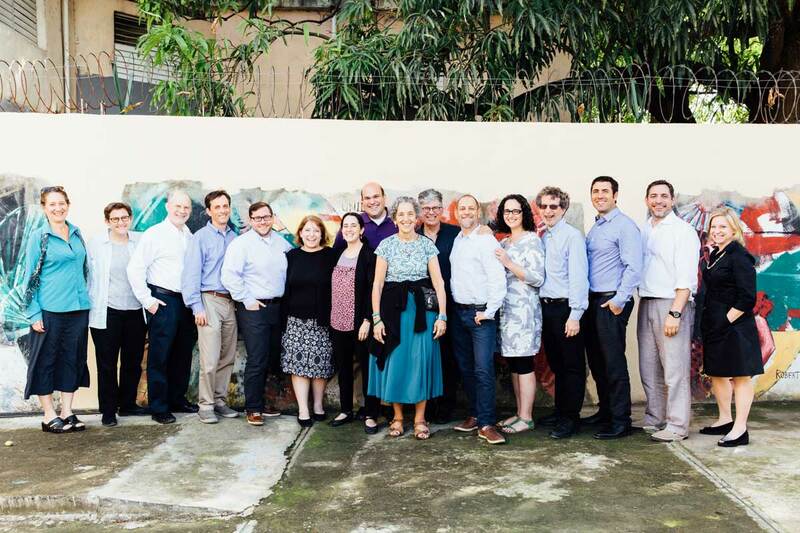 I was proud to be chosen as one of fifteen Global Justice Fellows with the AJWS–fourteen rabbis and one cantor–contributing to the incredibly important work AJWS does in the world. During the months we spent together, we explored issues of moral courage and met some of the incredible human rights activists that AJWS supports in the Dominican Republic on a weeklong trip there. We met with AJWS grantees that are advocating for the more than 200,000 Dominicans of Haitian descent who have been rendered stateless and, by extension, right-less. They live without citizenship, healthcare and the dignity of being at home in their birthplace. For them, racial profiling is rampant and racism is an ever-present reality. We met with groups supporting equality and rights for LGBTQI people and those who are working to end violence against women. I was inspired by the people I met and have kept their stories close to my heart. The time I spent on the trip opened my eyes to how I want to go about social justice work. The activists I met made me realize that I need to start locally and push where I can have the greatest impact. And I’m so glad I went. The coming festival of Shavuot marks the moment of revelation on Mt. Sinai. We are reminded by our Jewish tradition that revelation is not a single moment but an ongoing process. When we hear a beautiful piece of music, when we are out for a run, when we are united in prayer or traveling, moments of revelation can fill our souls and help us find something maybe we didn’t know was missing. Revelation isn’t just the things we learn, it’s how we allow those things to change us. The Sinai moment is our people’s quintessential experience of revelation. The Shavuot experience is designed to open us up to the wonders and beauty of our tradition. But, as my teacher Rabbi Eugene Borowitz shared, God broadcasts on all channels and we receive only where and when we are tuned in. Rabbi Borowitz’s message to me was clear: put yourself out of context so you can find your revelation. Don’t let the hectic pace of life reduce your grand moments of connection. I was not expecting our trip to Washington to be one of these moments. It was not my first time visiting my elected officials. I have been there and done that before. I realized quickly, though, that this visit was different. I carried with me the faces and stories from the Dominican Republic as I entered the offices of my representatives. Among the many I carried, Anna a quiet woman with a Haitian parent was most present with me. Though she was born in the Dominican Republic and should have been able to get a government ID, she has struggled to get one. She went to the election board offices as part of a group of 17, all on a list of those who should be able to get IDs. The judge refused to acknowledge them, took Anna’s birth certificate, ripped it up, and called in the police to arrest her. I can’t imagine being in Anna’s shoes, and felt an obligation and blessing to share her story and the stories of others we had met in the Dominican Republic. I had the chance, along with my partners in the Global Justice Fellowship, to help share those stories in hopes of bringing change for her and all of those we were honored to meet. I was struck by the contrast of advocating for those who had been silenced in their own country. I was almost brought to tears at the simple notion that we can knock on our representatives’ doors and they are compelled to answer, even if they don’t agree with what we have to say. As I celebrate Shavuot this year, I am strengthened by the experience I shared with AJWS and the experience of revelation. I am forever changed by this Sinai experience of advocating for people in the Dominican Republic. Thank you to my AJWS family for reminding me to not let my schedule dictate moments of holiness! Rabbi Peter Rigler currently serves as the Rabbi of Temple Sholom in Broomall, Pennsylvania, where he has been for seven years. 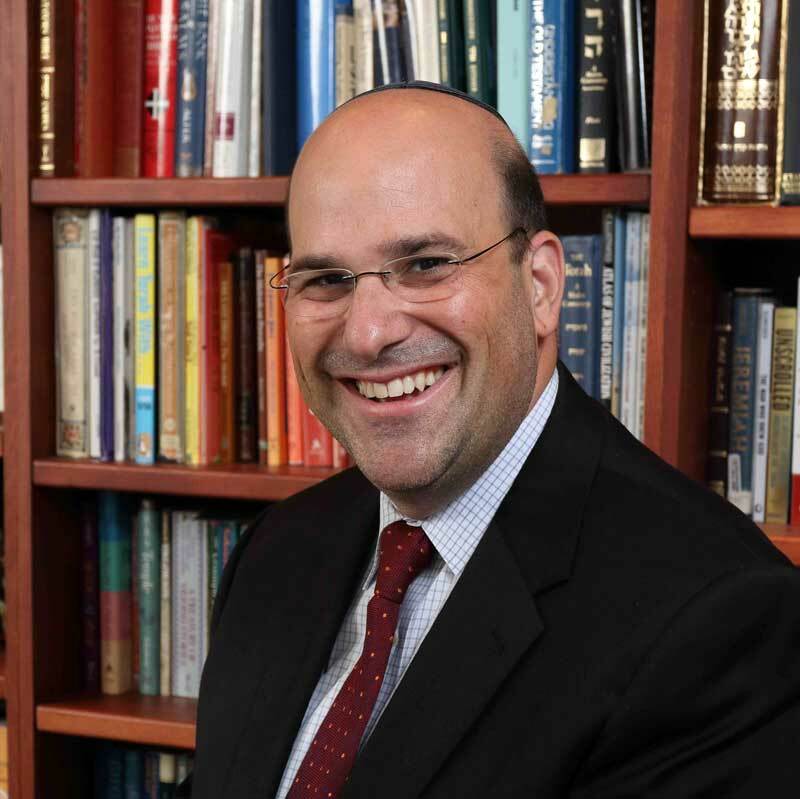 Rabbi Rigler was ordained by the Hebrew Union College-Jewish Institute of Religion.